Hasankeyf Matters: What will you do for Hasankeyf? What will you do for Hasankeyf? With a history reaching back 11,500 years, the cultural heritage of Hasankeyf is a vital resource for building peace. Unfortunately, the site is under threat of flooding by the controversial and massive Ilısu Dam and Hydroelectric Power Plant (HEPP) project. Inscription of Hasankeyf and its environs as a UNESCO World Heritage site, along with other conservation measures, can ensure that Hasankeyf lives. We ask for your support in advocating for these protections. 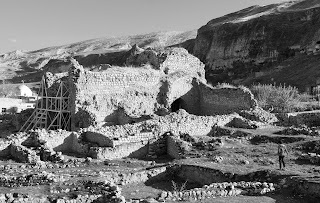 Little is known about the history of Hasankeyf between the time of its first settlement in 9,500 BCE and the Romans’ use of “Kifas” – or “Rock”, as it was known in Eastern Aramaic – as a defense outpost. In the 4th century CE, Constantinius II built a palace and chapel on the solid rock mount. The naturally fortified city grew and prospered, became the seat of a Syriac Christian (Nestorian) bishop in the 5th century and participated in the Ecumenical Council of Chalcedon in 451. Following the Islamic conquest in the 7th century, a succession of Arab, Kurdish and Turkmen dynasties ruled the city. Christians, however, remained a significant proportion of the population until recently. Today, most Hasankeyf residents speak three languages: Kurdish, Arabic and Turkish. Europa Nostra has selected Hasankeyf as one of Europe’s 7 Most Endangered sites for 2016. Hasankeyf displays an extraordinary collection of diverse architectural styles from the 12th to 15th centuries. Viewed from the far bank of the Tigris, the pylons of the 12th century Artukid Bridge and the minarets of two Ayyubid mosques (built between 1378 and 1409) still dominate the skyline, a reminder that Hasankeyf is the product of numerous cultures and civilizations, most recently the Turkmen Artukids and the Kurdish Ayyubids. The Koç Mosque (date of construction uncertain) originally consisted of an eyvan (a grand arched entryway) combined with a domed space above the mihrab, with barrel-vaulted prayer halls on either side. While the Seljuks of Anatolia used the eyvan widely in madrasahs and villas, they generally did not use it in mosques, making the Koç Mosque a fascinating and unusual application of Great Seljuk design in Upper Mesopotamia. The Zeynel Bey Tomb is the only example of Timurid architecture in Anatolia. Its huge calligrams, as seen in Iran and Central Asia, display the names Allah, Muhammad and Ali. Hasankeyf is extremely important to the people of the region, not only because the site serves to strengthen their bonds with the past, but also because it helps to sustain their ways of living and their livelihoods. In times of peace, hundreds of thousands of visitors come to Hasankeyf each year. Taking a broad view of the historic city and its hinterlands, it is possible to craft a locally grounded management strategy that balances conservation and tourism, with the potential to accommodate millions of tourists while also preserving the site for future generations. The tourism-related revenue of Hasankeyf and its hinterlands could gradually reach €500 million annually, a figure already surpassed by Göreme, in Cappadocia, and is slightly greater than the anticipated direct revenue from the Ilısu Dam. 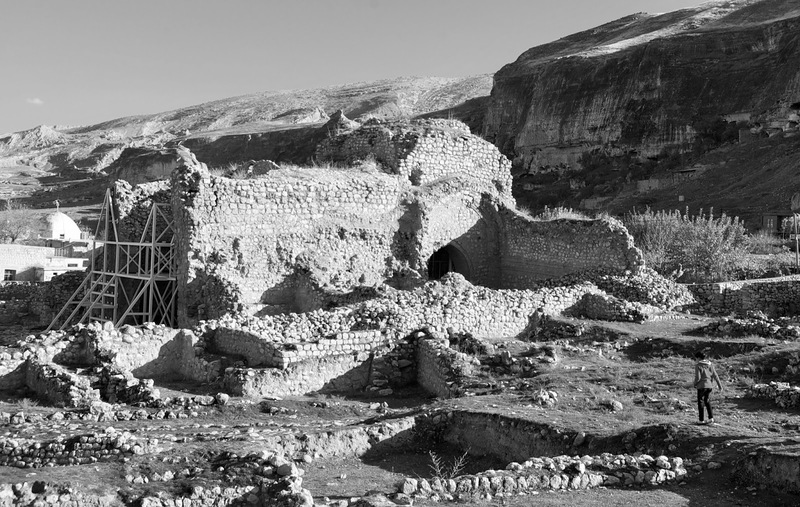 The Ilısu Project is expected to flood 80 per cent of the town of Hasankeyf, irrevocably changing the natural ecosystem and destroying the historical landscape. While there are dams in the world that have lasted much longer, research shows that most dams built today have a life expectancy of less than 100 years. Is flooding a 12,000-year-old city with a 100-year dam the optimal use of economic resources? Are there better alternatives for building peace and prosperity in the Tigris Valley? Your voice can help us build a robust dialogue around cultural heritage conservation and sustainable development.